Fern stems conduct nutrients and water and support large fronds. To do this there is a well developed vascular tissue system. Many of their cell walls are also strengthened with deposits of a compound called lignin. 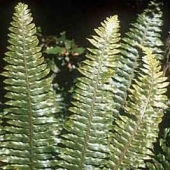 Most ferns have stems that grow horizontally on the surface of soil, rocks or tree trunks that form leaves at intervals. 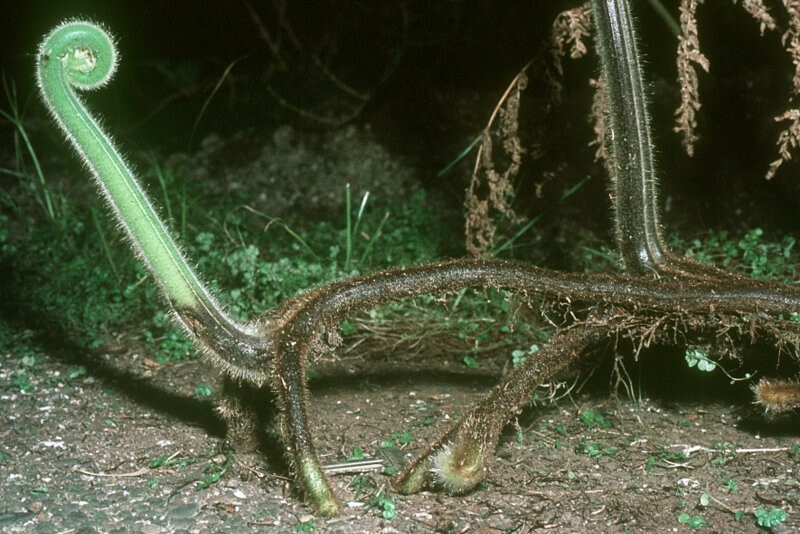 Stems with these characteristics are called rhizomes. 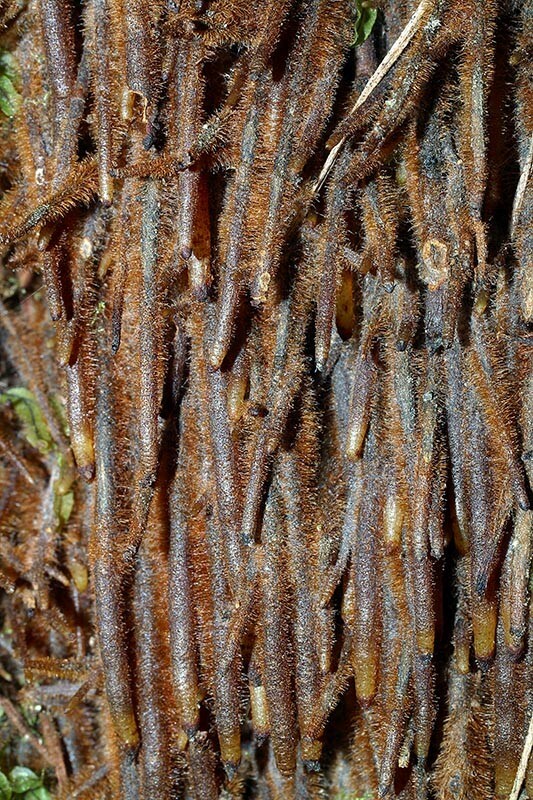 Hypolepis dicksonoides - The long, creeping rhizome found in most ferns aid in their rapid and proliferation. 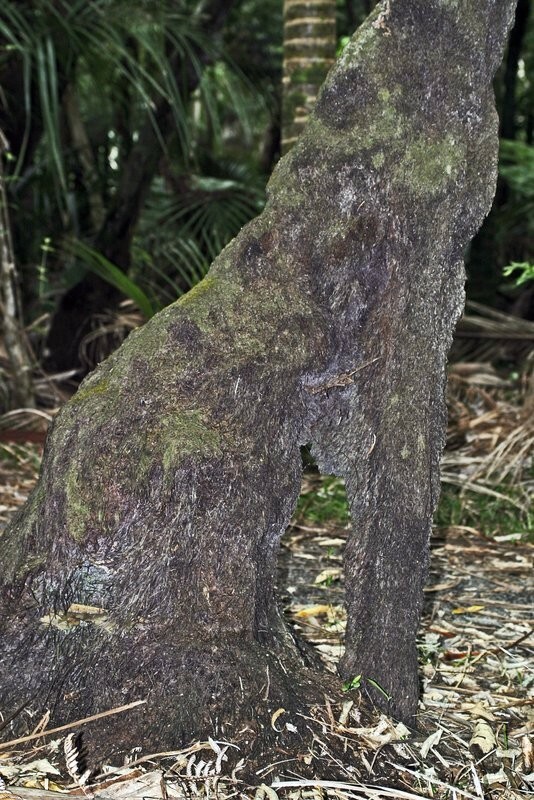 Most trees support themselves by forming large deposits of wood but this tissue is absent in tree ferns. 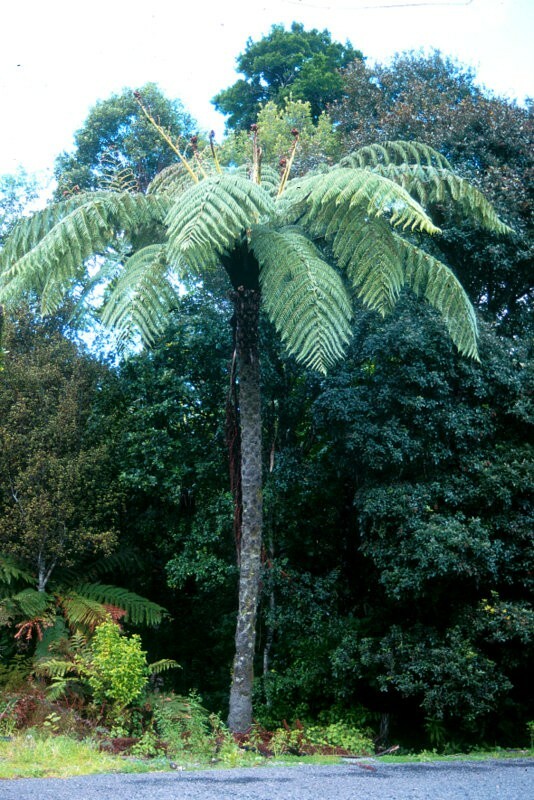 Cyathea dealbata, silver tree fern - The increase in girth at the base of the tree fern trunk is achieved by annual accumulation of fine interlocking roots. Growth of roots is accelerated on the lower side of leaning trunks to produce buttresses. 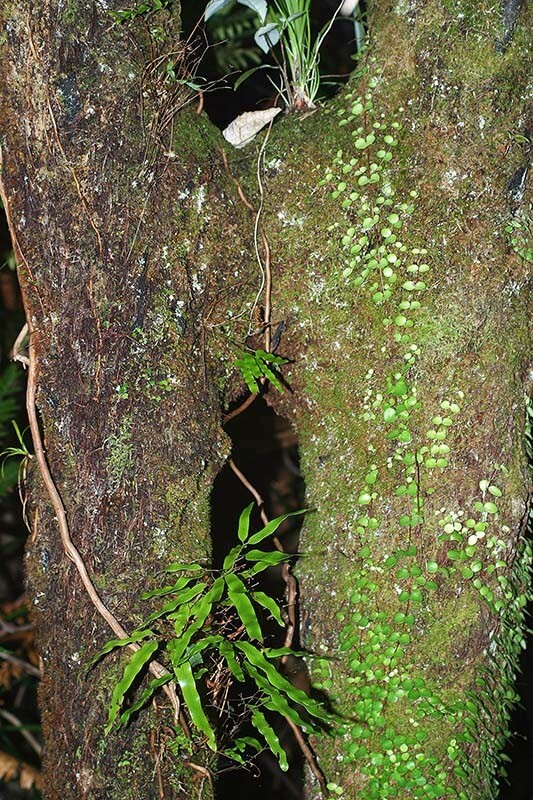 Dicksonia squarrosa, wheki - It is not unusual for adjacent trunks to be joined together by growth of their roots. Cyathea dealbata, silver tree fern - The compacted arrangement of the growing roots and their rapid hardening of tissues creates a firm union with each other and the trunk.